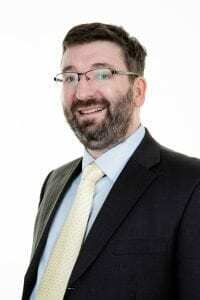 Ian Giddings is a family solicitor with Woolley & Co, based in Coventry. Ian offers a range of services including advice on divorce, separation, financial settlements on divorce and disputes regarding children. Ian has particular interest in cohabitation issues particularly when there are properties or children involved. Working predominantly in Coventry and Warwickshire, Ian has been exclusively practicing family law since becoming a solicitor in 2003. “I am a committed pragmatist and appreciate that divorce isn’t just about law and legal issues, but must also be about common sense solutions that work for partners, parents and children alike. I am a member of Resolution, a national organisation committed to dealing with family matters in a constructive and non-confrontational manner. Indeed, I am chair of my local Resolution group. I also have a close personal interest in domestic violence issues having previously been chair of Warwickshire Domestic Violence Support Service.